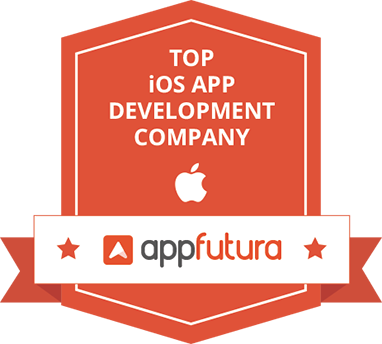 Quantum have been at the forefront of mobile application development and have some of the most experienced developers in the business. Quantum is a result driven and an innovative Swift App development company offering cutting-edge swift application development services for many major brands and clients across many industries. As smartphone technology is growing day by day, so we have the range of apps available. We have worked with clients across diverse industry verticals spanning startups, mid-size organizations to large enterprise. Swift is a new, powerful and highly efficient programming language majorly introduces for IOS app development. The engagement model that we follow for the development of IOS app includes planning, UX/UI design, ideation, coding, testing etc. Swift is the best to develop native apps since we found through some researchers that app built using native technology having high success ratio also we assure that your app is very fast, reliable and secure. Swift is the fast, safe and high level of interactivity in development. It combines features of both C and Objective-C that offers the range of features such as generics, closures, and type inference which makes it much easier to use, simplifying common patterns used in Objective-C. Quantum proven delivery methods ensure customer’s business goals are achieved. Swift is easier to read and write. It is concise, which means very less code is required to perform the task as compared to other languages. Swift allows you to develop complex app easily by adding more developers to your team. It uses less effort and time to build apps with swift. initially it was designed to outperform its predecessor focused on performance and speed. Over the time past multiple tests performed by engineers and developers and the result is it sets the Benchmarks. Swift gives many ways to optimize it performance and also gives more security as compare to objective C.
We strive for more effective business communication which helps building mutual trust and respect with clients. We focused on our commitments with clients like project time lines and deliverables. We ensure we implement all the possibilities that we committed to the clients. You also have access to check progress of project through project management tools, which giving you full control and visibility of your app development project process. With offices in India, UK, and the USA, we are an app development firm that caters to the global client base. We have a strong team of 50+ talented designers and experienced web application developers who are well-versed to build web apps that use the futuristic approach in scale and scope. We employ advanced methodologies and strategies to provide app development solutions. We stand well among all the swift app development companies globally for successfully deploying more than 500 mobile app development projects worldwide. No technology is left untouched as we believe in adopting new trends & technologies that change with time and user demands. We are capable of designing & developing fully customized websites, apps, and software. Our advanced approach & vast experience will rank your app on the top of the searches and app stores. We’ve worked with infinite possibilities not only in the mobile app but also web development.